OVER the past day or two we have been receiving a record number of links to this site, mostly pointing to Cablegate posts. People from all over the world share with their friends what they previously suspected but could not prove. Let me make clear here that I don’t believe that this meeting between Microsoft and the major representative from the American Government in Brazil has been a personal initiative of Mr. Michel Levy, but for me it was an corporative initiative. Even being a Microsoft employee, Mr. Michel Levy is a Brazilian, and I prefer not to believe that he has, on its own initiative, decided to start an initiative to put the American Government against the Brazilian Government, thus violating our sovereignty and our national technical merit. The first question that I leave here is on how many other countries that voted NO to OpenXML the same kind of initiative also happened, and how much of these countries “have accepted” an eventual intervention by the U.S. government. Yes, the intervention may have occurred, because if you notice the general line of argumentation used here in Brazil, the national technical decision is presented as being an initiative against the Intellectual Property Rights (IPR), and one of the things that cause retaliation in free trade agreements with the United States are eventual IPR violations. I have my own collection of rumors from the times of OpenXML, where possible sanctions motivated by IPR violations were brought to the negotiation table to get the governmental votes in some countries (if your country has changed the vote after the voting in September 2007, please investigate and you will probably find a ‘key’ governmental role on that vote changing). Maybe one day, WikiLeaks could help us to investigate that too! Finally, they try to insinuate that the ODF is an anti-American standard. I confess that I would like to know what IBM, Oracle, Google and Red Hat (and other North American companies) think about the that, since they work hard on the past years on its development and worldwide adoption. Actually I prefer that these companies explain directly to the American Government if the ODF is anti-American, and I still hope they ask clarification from the American Government about Microsoft’s similar initiatives in other countries during the 2007 and 2008 years. For those who did not follow the whole story, the ODF was adopted in Brazil, OpenXML rejected here and just didn’t had a major role on the international scene, because we were silenced on the last day of the BRM, just when we would submit a proposal that could change the end of this history. I’ve already told this story here. 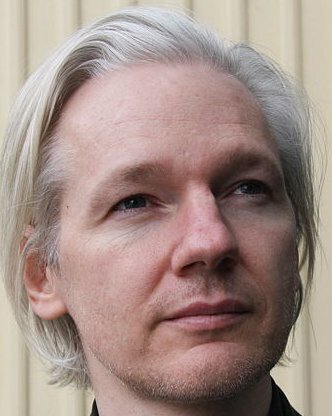 Special thanks to WikiLeaks, for helping us get the skeletons out of the closet. For those who want to understand how Microsoft deals and negotiates with governments that have pro-FLSOO policies, it’s worth reading this other cable here. Well, now there is proof too.